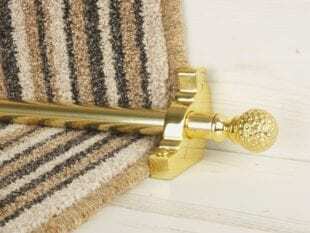 The solid brass Chatsworth stair rods boast finely turned, spherical finials, which feature a finely ridged surface pattern and have an appealing cone-like shape.  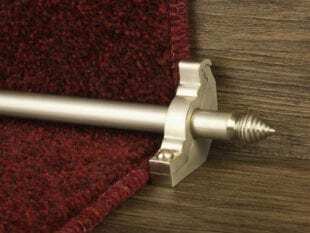 Solid core, high-quality stair rods, offered in ten metal finishes: polished, antique or satin brass, antique bronze, polished chrome, brushed chrome, satin and polished nickel, pewter and black. 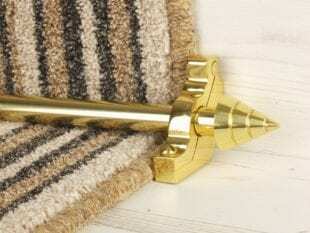 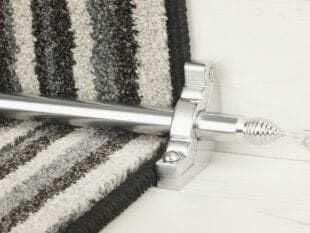 Suitable for fitting on stair runners or fitted carpets (Front Fix or Side Fix – simply choose when ordering. 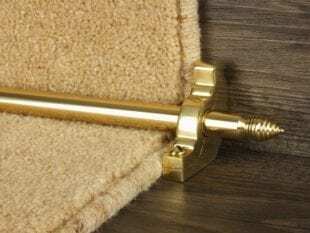 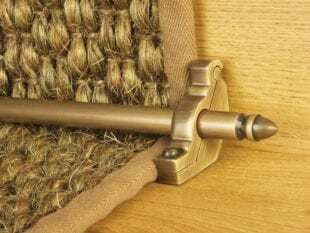  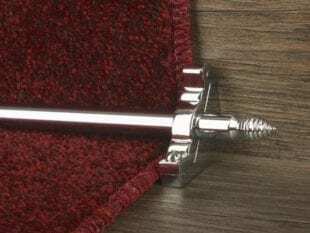   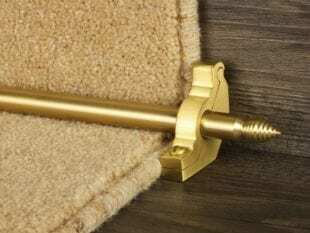 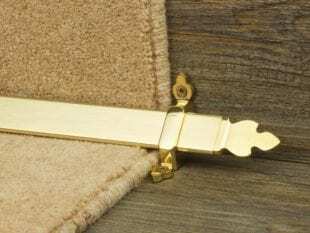 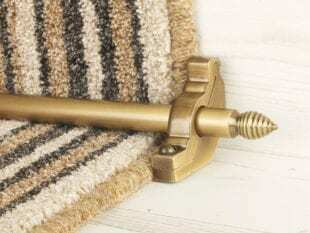 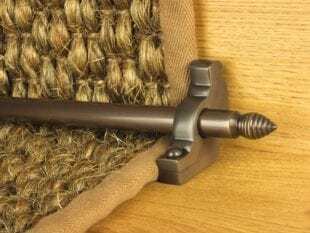 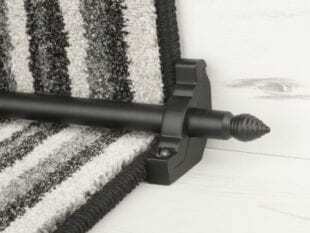 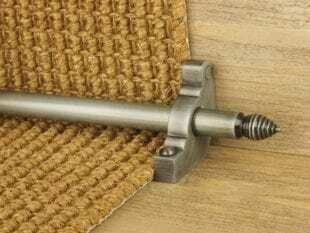 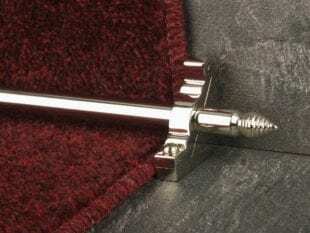 It is important to note that, like most carpet rods, the Chatsworth are purely decorative and do not fix the carpet to the stairs; a stair runner must be secured by another means of installation such as gripper. 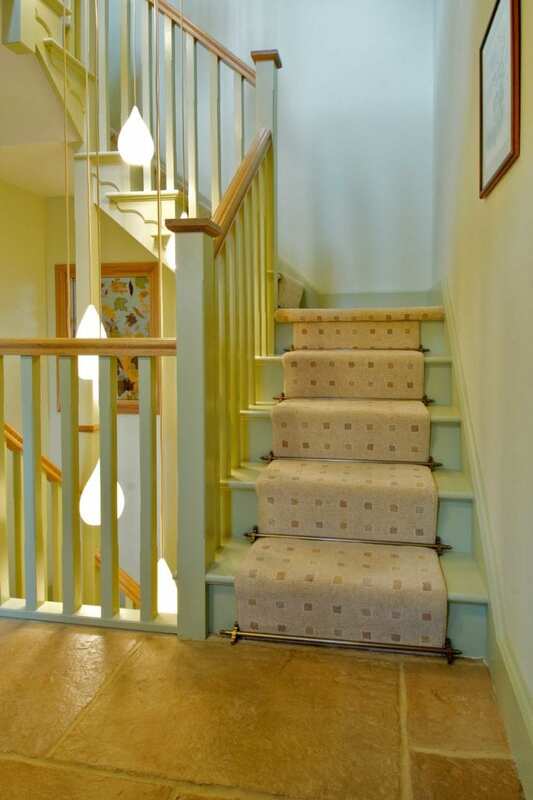 Fitting stair rods for runners to the bottom step (hall or landing level) is a popular option, as it helps to create a visually balanced look. 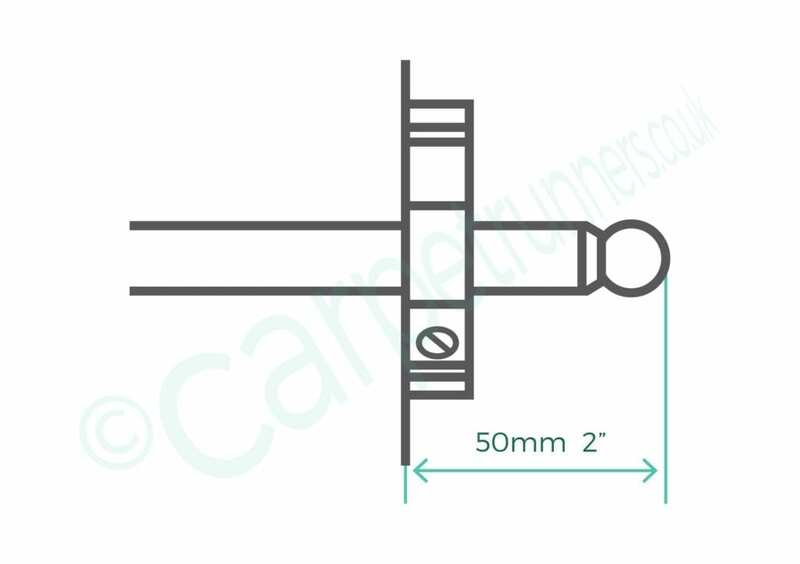 We can supply curved options of the Chatsworth for bottom step(s), as a special order – please get in touch for further details.